National education charity Future First has partnered with Greenergy to help inform state school students about the skills necessary to succeed in the energy and fuel industry. 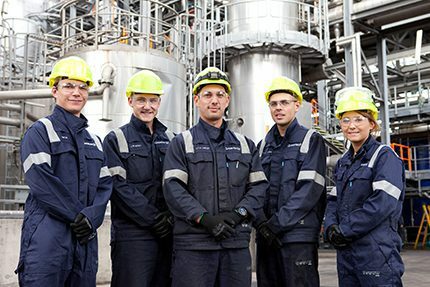 Under the scheme, Greenergy, will welcome local state school students from Years 10, 11 and 12 with an interest in maths, technology and sciences to its fuel terminals and biofuel manufacturing plants. Greenergy will coordinate site tours, offer talks with apprentices and site management about their own career pathways and provide insight into the study routes they chose to pursue specific roles. The project forms part of Greenergy’s commitment to promote STEM – science, technology, engineering and maths – subjects in higher education and to support young people in local communities. “At Greenergy we employ over 800 people in a range of roles; from IT professionals, engineers, graphic designers to logistics personnel and truck drivers,” said chief executive Andrew Owens. Future First’s partnership with Greenergy, a leading supplier of road fuels and Europe’s largest manufacturer of biofuel from waste, will allow more students to see what careers are available on their doorsteps and to access the experience and advice from people who work there,” said Christine Gilbert, executive chair of Future First and a former Ofsted chief inspector. If you know of a school that would be interested in taking part in the scheme, email Emma Fay, head of innovation and development at Future First emma.fay@futurefirst.org.uk or call 0207 239 8933.